Returning to the U.S., Scaggs promptly headed for the booming psychedelic music center of San Francisco in 1967. Linking up with Steve Miller again, he appeared on the Steve Miller Band’s first two albums, Children of the Future and Sailor in 1968. 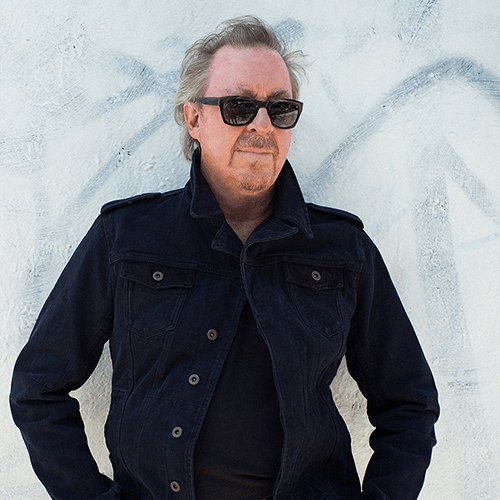 Scaggs secured a solo contract with Atlantic Records in 1968, releasing his second album, Boz Scaggs, featuring the Muscle Shoals Rhythm Section and session guitarist Duane Allman, in 1969. Despite good reviews, this release achieved only moderate sales. He then briefly hooked up with Bay Area band Mother Earth in a supporting role on their second album Make a Joyful Noise on guitar and backup vocals. Scaggs then signed with Columbia Records; his first four albums for Columbia all charted, with his best peaking at #2. From 1989 to 1992, Scaggs joined Donald Fagen, Phoebe Snow, Michael McDonald and others in The New York Rock and Soul Revue. His next solo release was the album Some Change in 1994. He issued Come On Home, an album of rhythm and blues, and My Time: A Boz Scaggs Anthology, an anthology, in 1997. He garnered good reviews with Dig although the CD was released on September 11, 2001. In May 2003, Scaggs released But Beautiful, a collection of jazz standardsthat debuted at number one on the jazz chart. In 2008 he released Speak Low, which he described in the liner notes as “a sort of progressive, experimental effort … along the lines of some of the ideas that Gil Evans explored.” During 2004, he released a DVD and a live 16-track CD Greatest Hits Live that was recorded August 2003 at the Great American Music Hall in San Francisco.